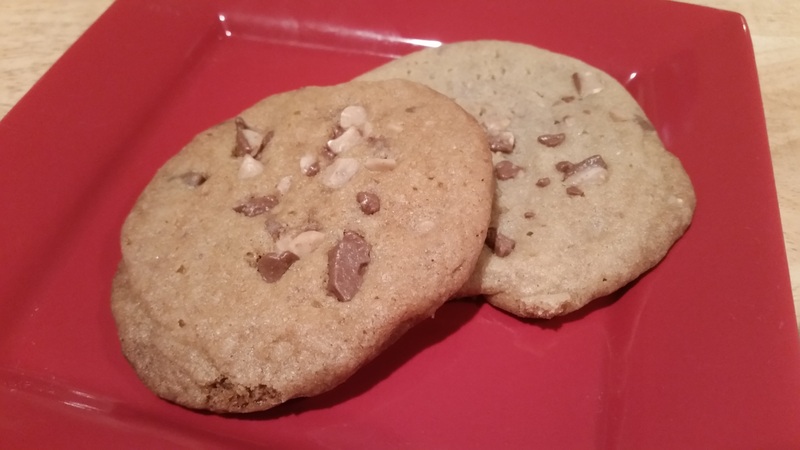 Buttery Toffee Cookies – What's for Dinner Moms? We are trying to cut down a bit on sweets so one of the new things I am trying is if we want a treat we have to make it. I am not much of a baker so the rest of the family has to pitch in on this. This creation was from my partner, who knows I love my chocolate chips cookies without chocolate chips and all butter and brown sugar. 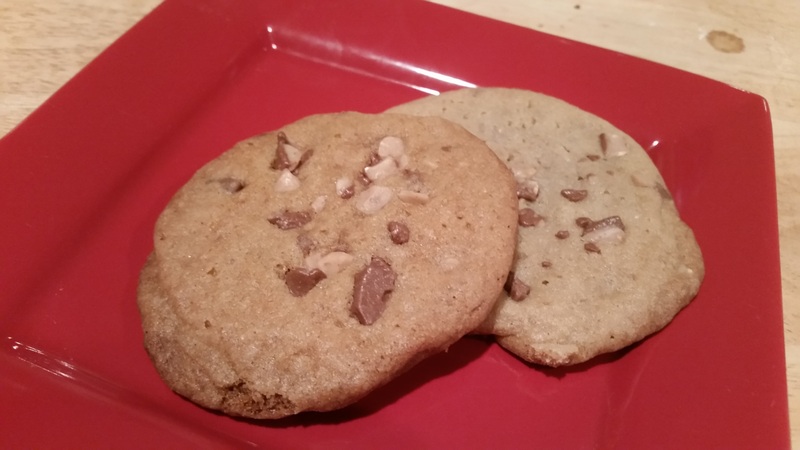 So she found some toffee chips in the pantry and made a buttery brown sugar cookie for them to go in. We loved these cookies. They were so rich but everyone declared them their favorite cookies of the month (all 10 days of it!). Served with a big glass of cold milk these were delicious. In a bowl mix flour, baking soda, and salt. Set bowl aside. In a large bowl cream butter and brown sugar together until light and fluffy. Add vanilla and eggs, one at a time, beating in-between each addition. Stir in flour mixture and toffee chips until combined well. Drop by heaping tablespoons on to baking sheet. Bake for 9-11 minutes until golden on bottom of cookies. Remove pan from oven and allow to rest for 2 minutes before removing to wire rack to cool. These do look quite tasty, Marci..